In 2018 the leading global trade show for the process industries will zero in on three topics that apply to all the varied sectors of the process industry and all the exhibition groups: Flexible Production, Biotech for Chemistry and Chemical and Pharmaceutical Logistics. There is still almost a year to go before ACHEMA 2018 opens, nevertheless preparations are moving into high gear: more than 2,600 companies have already ordered a stand. By the time the halls open on 11 June 2018 the organisers expect the exhibitor figure to top the 3,800 mark, all set to present their products and technologies to some 170,000 visitors from all over the world. 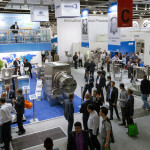 Suppliers will show the latest innovations in the chemical, pharmaceutical and food processing industries in 11 exhibition groups: from laboratory equipment to pumps, compressors and other components through to complete packaging lines. The accompanying congress with around 800 lectures will provide complementary information on future trends, backed up with applications and issues from industry. Biotech for Chemistry underscores the increasing integration of chemical and biotechnological processes. 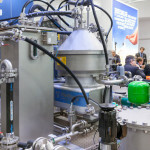 It is no longer a question of “either-or”, but of the optimum combination of these two worlds, from strain development through to product – with all the challenges this entails for processes and processing methods. At the same time the demands made on Flexible Production are soaring – whether it be different regional requirements, varying energy and raw materials supplies, shorter product cycles or customised production: flexibility is the key to success on the dynamic global markets. The solutions include modular plants, robust processes and intelligent components which, thanks to digitalisation, communicate with each other and integrate many tasks into the plant from process adjustment to predictive maintenance. These developments are inconceivable without the integration of Chemical and Pharmaceutical Logistics which is progressively making a transition from service provider to systems partner. Data exchange across the whole supply chain, track and trace systems even for the smallest loads, while still remaining committed to safe and punctual transport of raw materials and products – all these factors make for the success of a globalised sector. 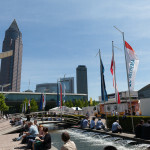 In the exhibition, congress, and the application-oriented PRAXISforums which bring together suppliers and customers in close proximity to the individual exhibition groups, and also in a variety of accompanying events and publications, these topics will be just as intensively explored and discussed as all the other topical developments that impact the process industry today and tomorrow.